Today’s post is a recipe for vegan Cupcakes. 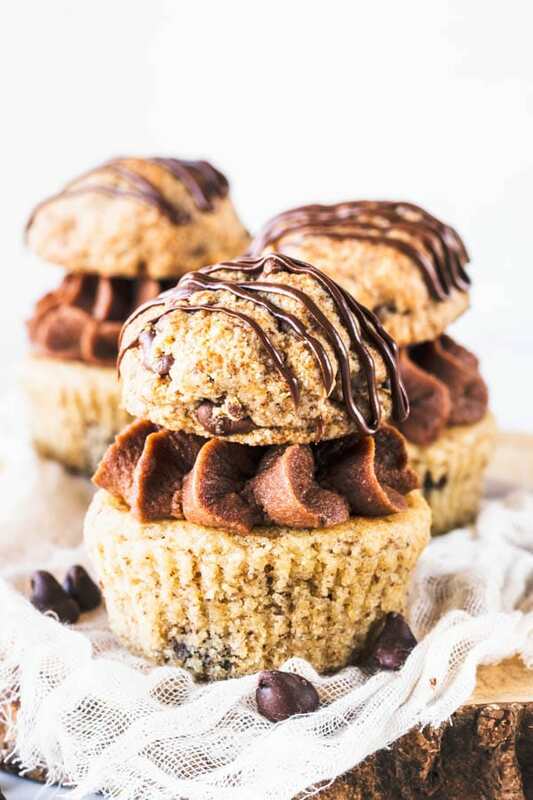 These Chocolate Chip Cookie Vegan Cupcakes are also paleo, gluten-free, refined sugar free. Enjoy! 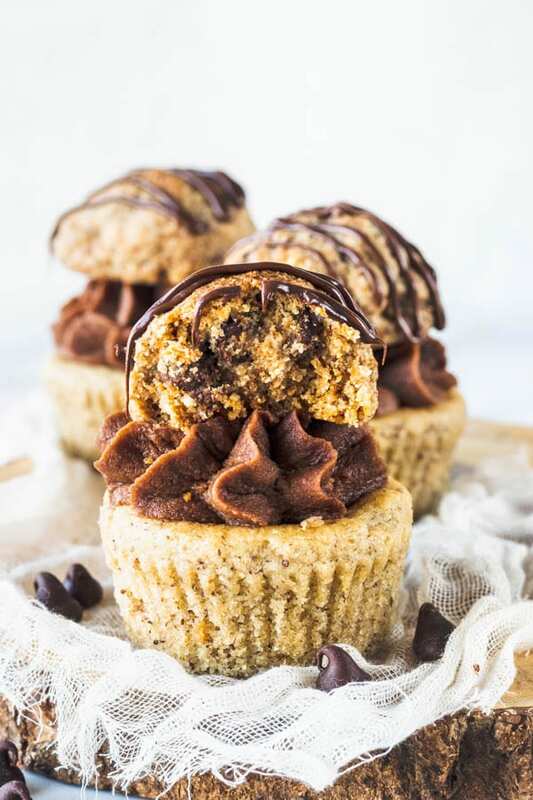 These Chocolate Chip Cookie Vegan Cupcakes are what inspired me to make this delicious Chocolate Chip Cookie Vegan Pie I posted a few days ago. I had actually made the cupcakes before, but was waiting for #cupcakemondays to post this vegan cupcake recipe. I have been experimenting with vegan and paleo baking for a little while. It’s one of my favorites now. I simply love vegan desserts! You can check out all of my vegan desserts here (most are paleo too). Anyway, allow me to talk to you for a bit about this delicious Chocolate Vegan Frosting! 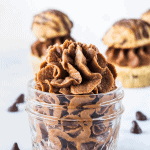 This vegan and paleo frosting is made with a cashew base. After soaking the cashews overnight or for a few hours in hot water, you simply blend it with some other ingredients to make a smooth cream. Let the cream chill in the fridge until it hardens up and takes on a firmer consistency before piping or spreading it on top of your cake. And that’s it! 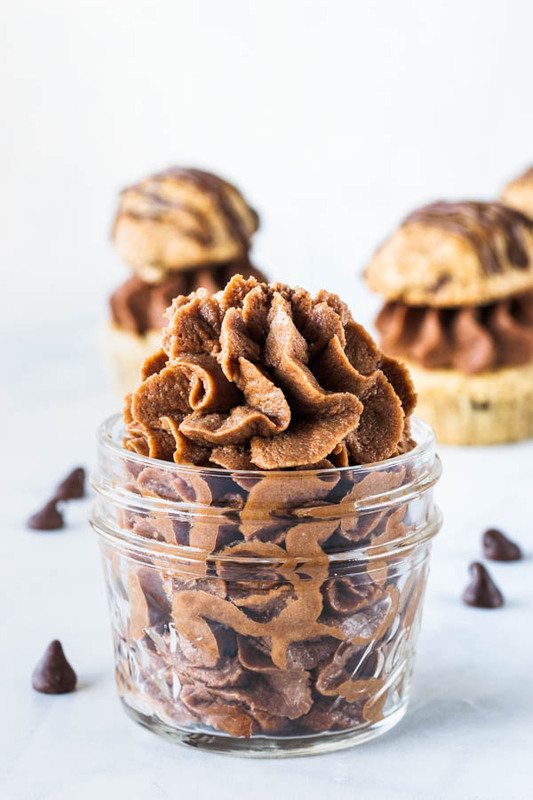 Not to mention that this vegan and paleo frosting is super easy to make. Hands on time is probably around 10 minutes, including doing the dishes. Only waiting for the cashews to soak, and then waiting for the frosting to firm up is going to take time. You can make the cookies for the top, or the cupcakes, while you wait for the frosting to firm up. This recipe makes for extra cookies, you can freeze some of the cookies for later if you don’t wish to bake them all at the same time. How to freeze these vegan cookies: put cookies on top of a baking sheet. Place baking sheet in the freezer until cookies have frozen, for a couple of hours. Transfer cookies to a ziplock bag and seal it tight, removing the air from inside the bag. When you want to bake a cookie simply pre-heat the oven and bake cookies straight from the freezer. This recipe makes for super soft and chewy vegan chocolate chip cookies, which are also paleo! So much love for them! 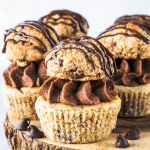 Some of my favorite vegan recipes: Hazelnut Vegan Cupcakes, Matcha Vegan Cheesecake, Pecan Brownie Vegan Pie, Vegan Brownies with Caramel Sauce. 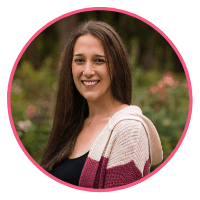 I would like to say thank you for reading my blog, my recipes, and following me! Your support means a lot, whoever you are, wherever you are. Just know that you rock! 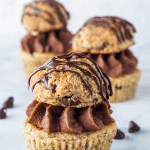 These Chocolate Chip Cookie Vegan Cupcakes are also paleo, gluten free, refined sugar free. 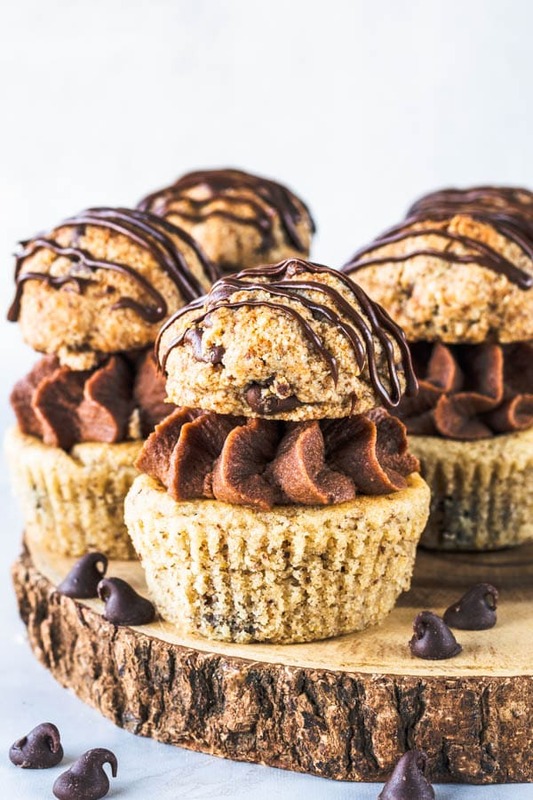 They are topped with a delicious Vegan Chocolate Frosting, and a chocolate chip cookie. Pre-heat the oven to 350F. Line a muffin tin with baking cups. Make flax egg. Mix flax seeds with water and let them sit for about 10 minutes while you gather all of the other ingredients together. Mix almond flour, arrowroot flour, baking powder, salt, and baking soda together in a bowl. Set aside. Whisk almond butter with maple syrup, coconut milk, vanilla, and flax egg. Add flour mixture to the wet mixture. Bake for 10-15 minutes until you insert a toothpick in the center and it comes off clean. Drain cashews, place in the food processor together with maple syrup, coconut cream, lemon juice, coconut butter, vanilla extract, and cocoa powder. Mix flax seed with warm water. Set aside to thicken for 5-10 minutes. 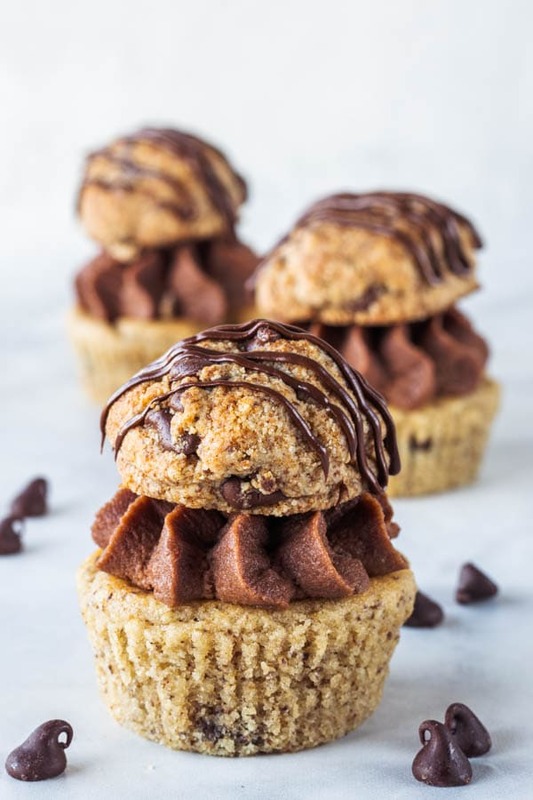 Mix almond flour, coconut flour, coconut sugar, baking soda, baking powder, and salt. Set aside. Whisk coconut oil, nut butter, vanilla extract, and flax seed egg together. Add dry ingredients to wet ingredients. Stir until combined. Form cookies into balls with a cookie scoop. I always like to chill my cookies in the freezer while the oven pre-heats, so the fats in the cookies will have time to become solid, and as the cookies enter the oven, the fat won’t start melting immediately, giving the cookie a chance to have a better structure. Bake for about 8 minutes. Might take longer or less time depending on how big you shaped your cookies. I like to store my frosting already in the piping bag, so this way will be ready to pipe once cold and more solid. Pipe frosting on top of cupcakes and let them chill in the fridge for a couple of hours. Then you can proceed with topping the cupcakes with the cookie. I also melted some chocolate and drizzled it over cookies to give the cupcakes a little pizzaz. Cookies will store well in an air-tight container for a few days, at room temperature. *You can soak the cashews in room temperature water overnight, or you can soak the cashews in hot water for at least 4 hours.